The Hershey Company, Blommer Chocolate and Olam Cocoa have together funded and built a community health center in Teapleau, Cote d’Ivoire as part of the Hershey Learn to Grow training and cocoa sustainability program. The program seeks to improve the lives of cocoa farmers and communities in West Africa. The center now provides basic health services, such as maternity facilities; lab testing for AIDS and malaria; and vaccinations for polio, tetanus and measles to 1,700 households and 13,000 people across three area communities. Without the center, families in this cocoa farming community would have to either forego treatment or travel long distances for care. “Our programs go beyond helping farmers learn how to grow quality, sustainable cocoa,” said Terry O’Day, senior VP, chief supply chain officer, The Hershey Company. Cocoa farmers around the town of Teapleau are part of the CARET Cocoa Cooperative and have been part of the Hershey Learn to Grow program for two years. The health center project was coordinated with the Ivorian government and the government will manage the staffing and long-term management of the facility. In December 2015, Hershey representatives placed the corner stone of a second health center scheduled for construction in 2016. This second center will be located outside the city of Man in the village of Siambly. This facility is expected to provide access to health services to 3,000 families or 24,000 people in six communities. 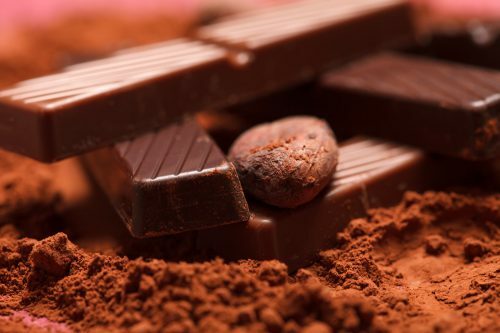 Meanwhile, Hershey confirmed that it had achieved its goal to source 50% of its global cocoa supply from certified and sustainable sources by the end of 2015, a year ahead of its original schedule. The company has set a new target of sourcing 75% of its global cocoa supply from certified and sustainable sources by the end of 2017. Hershey has committed to source 100% certified and sustainable cocoa by 2020.